Thanks to a substantial donation from the Diabetes Resource and Wellness Foundation, our 21,000-square-foot facility – the Diabetes Research and Wellness Islet Resource Facility, home of Spring Point Project – was opened in February 2007. In full operation, the facility is capable of housing approximately 100 to 150 young through adult pigs for use in clinical applications. The $6.2 million, state-of-the-art, biosecure research facility was designed to be flexible, allowing the introduction of animals via caesarean section or embryo transfer as well as internal natural reproduction on an ongoing basis. 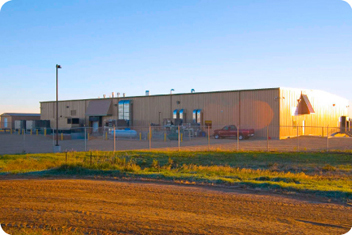 Special considerations were taken for proximity to potential pathogen sources and site design – surface materials, fixtures, mechanical, HVAC, electrical, supply water, waste (manure and effluent) removal, process controls and security.The facility features flexible handling, husbandry and reproduction of pigs under different conditions. While maintaining social grouping and interaction, the animals can be held in distinct units that are separated from each other’s air circulation, water supply and more in order to avoid cross-contamination. Also, it’s possible to conduct advanced reproduction methods, such as the birth of newborn piglets by caesarean section, artificial insemination, and embryo harvest and transfer. 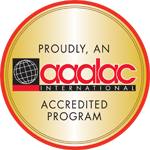 Animal housing and handling is in full compliance with guidelines and regulations allowing certification from the U.S. Department of Agriculture (USDA) and the Association for Assessment and Accreditation of Laboratory Animal Care (AAALAC) International. One week after the official opening, the first piglets were delivered inside the barrier of the building by caesarean section. These and subsequent deliveries went very well, and all animals delivered fulfilled the designated pathogen-free status. Subsequently, an internal breeding program was initiated at the end of 2007, and the first piglets in the second generation were born at the end of April 2008. This second generation was particularly important because that’s when the animals can initially be used for transplantation.